This equipment used for determining the glucose level in the bloodstream. The Glucomter mainly used in the health care sector and in houses for the patients with Diabetes Mellitus. Blood sugar (glucose) monitoring a vital piece of a comprehensive management plan. It works under the principle of the electrochemical method. The electrode strip contains an enzyme electrode called glucose oxidase or glucose dehydrogenase. Inform patients about the prick and collection of blood for glucose measurement. Massage and Swipe and clean the site with the alcohol swab. Wait for the site to dry and open lancet or needle and prick the give compression proximal to sampling distal site. 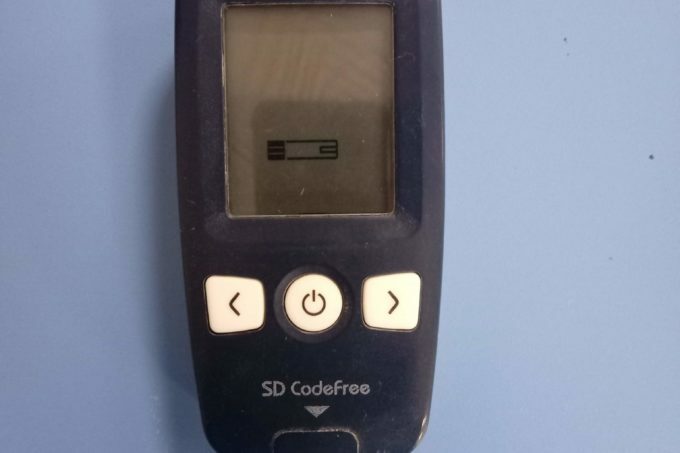 Apply the glucose strip and wait for the sampling symbol on the screen of glucometer. Adjust the strip near to the glucose strip and capillary action on the strips, absorb the blood and close the site with a dry swab. The Glucose level of the patient will display on the screen. Change the battery of the glucometer periodically in a particular duration of time. Proper documentation of change of battery help to change before it gets empty. Temperature can affect the glucose value accuracy, so keep the machine at room temperature. After the use of the machine/equipment clean it with alcohol based antiseptic solution and keep it in the preferred case or cover.